For Parents. Speech language pathology and therapeutic services. C.H.T.Services Inc. (Caring Hands Therapeutic Services, Inc. (CHTS)) is an Early Intervention agency whose purpose is to provide quality services and support to children with special needs and their families under the Early Intervention program of New York State. C.H.T.Services Inc. has a broad array of services comprised of English and bilingual evaluation, educational and therapeutic services for children throughout the five boroughs of New York City, and Nassau counties. We are equipped to meet the needs of diverse clientele. Our team personalizes sessions by furnishing services that can accommodate the client's unique personality, abilities and cultural background. In order to help enhance a family's experience we will provide professional(s) who are best suited to meet the family's needs in adherence to best practices and cultural competence. We require our therapists to have a solid background in both Educational and Human Services. This element of diversity is crucial. Our staff members must be diverse in their understanding of client's needs, and therefore will be capable in assisting them better. Another goal of C.H.T.Services Inc. is to make sessions as comfortable, and as convenient as possible. We will be happy to serve clients in an educational setting, in the location that best meets their educational needs. And/or within their homes in a community-based setting. We strongly support each child's potential for independence in the most natural and least restrictive environment and by helping and supporting the families by using a multifaceted team approach. In this manner, we believe we can make a difference in the lives of children and families. 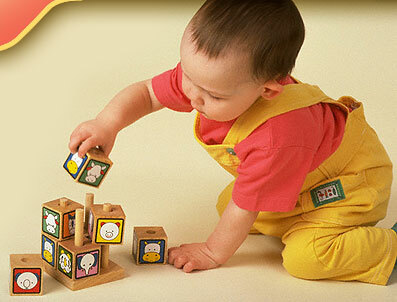 C.H.T.Services Inc. matches the strengths of its providers with the specific needs of the child. Our professionals are willing to travel throughout the five boroughs to educational, medical, or home/community based environments. Additionally our team is dedicated to providing continuous supervision, training, and support for each and every provider. We work hard to advance provider’s careers through successful client/provider relations. It is essential for professionals to have a positive impact upon the lives of children with special needs. We make our early intervention services available to all families in the spirit of best practices and cultural awareness and competency. Our services are available (even during non-traditional hours and holidays) in a variety of different settings to ensure that children always receive the most comprehensive and effective care. Furthermore, we specifically target each child's needs with an Individualized Family Service Plan (IFSP).